Every year many international students from Zambia come to study in Ukraine at different universities and faculties. Mostly students from Zambia come from Lusaka the capital and Copper belt area. Zambian students are good at English so they join their degree programs directly in English. Almost at every state owned medical university in Ukraine Zambian students are studying and this number is growing every year. Zambian students have always brilliant academic record in Ukraine so Ukraine always welcome students from Zambia with open hands. For 2019-2020 intake in Ukraine also must be a good number of Zambian students will join their degree programs at Engineering and Medical universities. 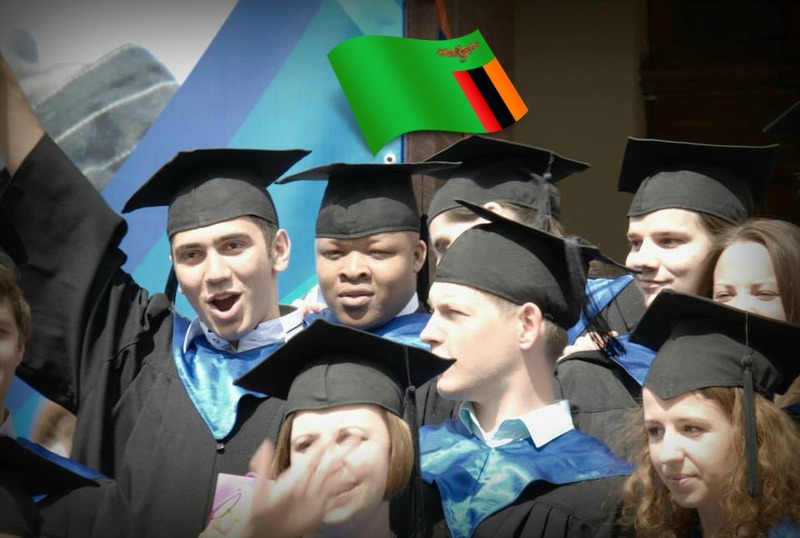 Zambian students prefer Ukraine while thinking about studying in Europe due to high quality of education and quite affordable academic costs. Admission process for Zambian students is quite simple.All interested applicants from Zambia scan their secondary school certificate copies with international travel passport certificate copy in the Email of admission office mentioned below. Once admission staff receive the scan copies of the applicants,They start assessment process and it takes 1-2 days to be assessed their eligibility. Eligible applicants send their processing fee through wire transfer or western union and scan the receipt to admission office Email. Once the processing fee is receipt,Their documents are forwarded for further processing at Ministry of Education,Ukraine. Admission process at Ministry of Education,Ukraine takes 2 weeks and the official study invitation is delivered to our admission staff which is couriered to the applicant for visa application. Ineligible applicants are asked to scan more documents in case required by the admission team. Ukraine has assigned the Embassy of Ukraine in South Africa for Zambian students. We strongly advise to take all supporting documents together and careful while traveling to the Embassy of Ukraine as missing of any documents will result in travelling back to Zambia and it will be the wastage of time and money. An admission confirmation is sent to the Embassy by Ministry of Education,Ukraine to the Embassy directly. 3. Complete filled Application Form.